Bhutan, the Land of the Thunder Dragon, is no ordinary place. It is without doubt one of the world`s most unusual countries. It is a land wrapped in myth and legend. The kingdom of Bhutan lies in the eastern Himalayas bordered north by China and on all other sides by India. 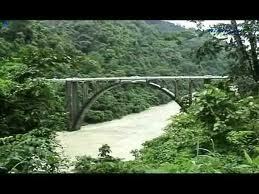 It has very high mountains, fertile valleys and thick forest forests. The country is mostly made up of mountains covered in lush green forests, towering over valleys that are home to rice fields and rivers. Traditional Bhutanese houses are sparsely distributed throughout the country and there are a few small cities. Bhutan is a land of awesome mountains – some of the highest in the world – thick-forested valleys and imposing dzong, monastery fortifications often perched up on cliff sides. It is a place where landscapes are dotted with blue poppies, snow leopards and innumerable banners of bright flapping prayer flags. Bhutan takes its Buddhism seriously. The religion pervades all levels of life, resulting in peaceful temples, red-robed monks scurrying along the streets, a mind-blowing number of deities and legends, and a widespread belief in practicing kindness and loving to all sentient beings – what could be better than that? Bhutan, for years closed off from the rest of the world, seems like a little slice of Himalayan heaven. Here, traffic lights do not exist, strict conservation laws mean trees still cover almost 75% of the country, and productivity is measured in Gross National Happiness. This is a country where buying cigarettes is illegal, where the rice is red and where chilies are not just a seasoning but the entire dish. It is also a deeply Buddhist land, where men wear a tunic to work, where giant protective penises are painted on the walls of most houses. Tourism in Bhutan is also unique. Visitors famously have to pay a minimum of US$200 per day, making it one of the world’s most expensive countries to visit, but this fee is all-inclusive, you do not have to travel in a group and you can arrange your own itinerary. A short and relatively gentle tour, providing an overall impression of the land, the people and the history of the last independent Buddhist Kingdom, One of the most remarkable aspects of the country is in its overall degree of separation from the outer world. During this brief stay you will witness many of Bhutan’s defining characteristics and fascinating contrasts. It is both immensely refreshing and stimulating to find oneself in a situation so different from the familiar.